HuffPost News recently posted a piece about White House Press Secretary Jay Carney’s correcting and updating of the circumstances of Osama bin Laden’s demise (“White House Revises Account of Bin Laden’s Final Moments,” HuffPost News, 5/3/11). “Carney also retraced the steps by which Bin Laden’s body was buried in the North Arabian Sea,” HuffPost’s Jennifer Bendery wrote. “The body was washed, placed in a white sheet and in a weighted bag, at which point a military officer ‘read prepared religious remarks’ that were translated into Arabic by a native speaker. The body was then ‘placed on a prepared flat board, tipped up, and the deceased body eased into the sea…’” The famous children’s prayer —“Now I lay me down to sleep, pray the lord my soul to keep. If I die before I wake, pray the lord my soul to take”—somehow comes to mind in reading Carney’s account, particularly when you come upon the description of Bin Laden’s youth, which David Brooks provided in his op-ed column in Tuesday’s Times (“What Drives History,” NYT, 5/2/11). “He…was sent to an elite school, wearing a blue blazer and being taught by European teachers,” Brooks noted, crediting as his source Steve Coll’s The Bin Ladens: An Arabian Family in the American Century . 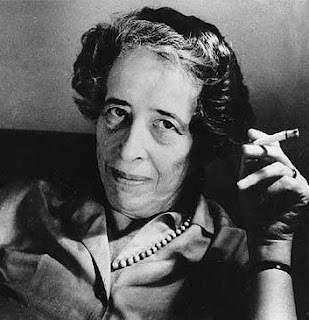 “As a boy he watched ‘Bonanza’ and became infatuated by another American show called ‘Fury,’ about a troubled orphan boy who goes off to a ranch and tames wild horses.” Hannah Arendt coined the phrase “the banality of evil” in her famous book Eichmann in Jerusalem .